Today kicked off the final truly tough training week before I begin the taper period over the final three weeks leading up to Boston. I tend to stick pretty religiously to the training plan on the magic fridge most weeks, but this morning the temperature was perfect (45 degrees) with no wind and it felt like a good day for some hill work. 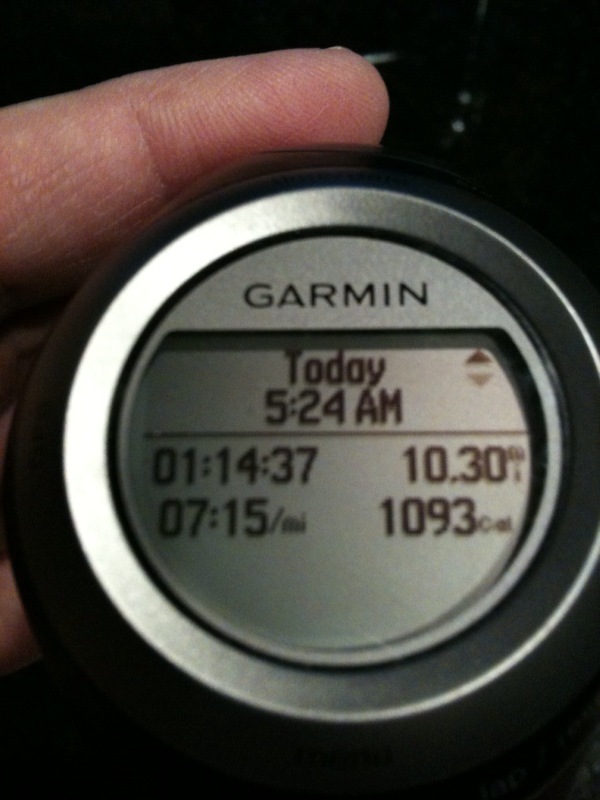 I decided to flip flop my Tuesday and Wednesday workouts this week – covering 10 miles today with a 5-mile recovery run tomorrow instead of vice-versa as the schedule dictated. My long run on Sunday was only 12-miles, so having a recovery run today was not as necessary as if I had run 18-20 miles. Yesterday’s cycling workout allowed my “running legs” to rest enough to push hard through my workout this morning. That meant hill work – really my last opportunity to train “hard” before Boston. As I’ve written in the past the course from Hopkinton to Boston is known for the famed “Heartbreak Hill” taking runners up a steep ascent at mile 20. Heartbreak is the last of the “Newton Hills” that begin at mile 16. That stretch of course is difficult to be sure based on all accounts I have read and heard about from Boston Marathon vets – but it is the downhill nature of the rest of the course that really takes its toll on the runners. I have spent the last 12 weeks running a lot of hills – both up and down – as part of my marathon preparation. Along with the cycling workouts designed to strengthen my larger leg muscles (quadriceps and calves) – I can really feel a difference as I try to hold my pace pushing through inclines and declines. Today’s run was really a mixture of a “Ricky Bobby” speed workout over hilly terrain. A good test for an early Tuesday morning and it went about as well as I could have hoped. One of the benefits of running with my Garmin GPS is that in addition to being able to chart distance, total time and individual mile splits – I can also chart elevation gain and loss over the course of a run. This morning’s 10.3 mile course allowed me to cover 1,001 total feet of elevation change reaching a maximum of 972 feet above sea level and a low of 351 feet above sea level. Time today was 1:14:37 at a 7:15 pace – that’s plenty fast given the terrain as we have been training to run somewhere between 7:25 and 7:27 per mile at Boston depending on the weather and other race day factors. What I was most pleased with is how consistent our splits were this morning even though the elevation was changing pretty dramatically over the course: 7:10, 7:14, 7:25, 7:12, 7:17, 7:02, 7:19, 7:23, 7:20, 7:04. Not a single mile fell above of our target of 7:27 pace for Boston even over the hilliest portions of the run. Good stuff. I am starting to feel as if we may have a real shot at a new PR at Boston. What a great way to start the Run for Dom challenge to honor my good friend. 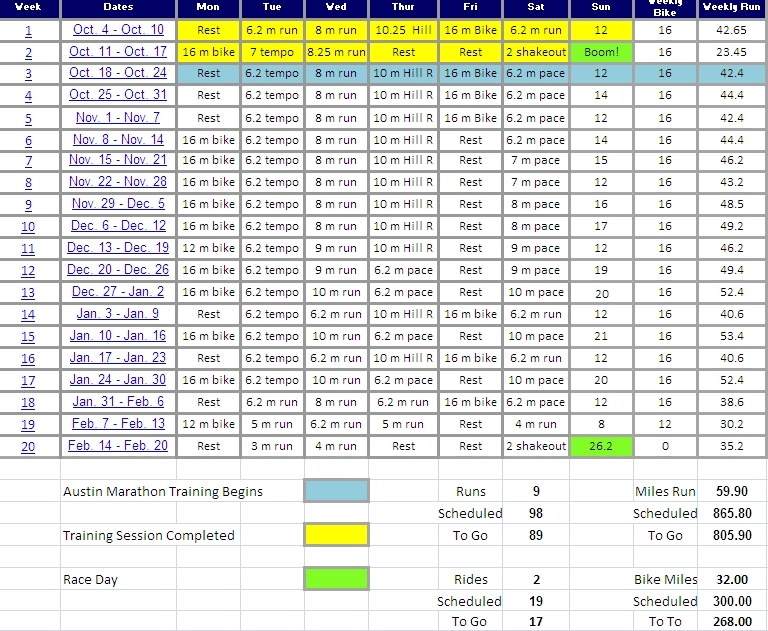 I know the Pittsburgh Marathon 13 days later is going to be an entirely different challenge. The honor will be in digging deep into my reserves and simply finishing that second marathon a little more than 300 hours later. Not a lot of time to recover from Boston and get “race-ready”. Success on that Sunday will not be measured by a timing chip or stop watch. That much I am certain of. Speaking of our hero Dom my wife Dawn (a.k.a. Superwife) returned to Pittsburgh this past weekend for her Big Sister’s surprise 40th birthday party. Dad to be here in Austin was starting the process of moving furniture and getting ready for our little one’s arrival this Fall – so I was unable to make the trip. Dawn got a chance to have lunch with Dom while she was in town and catch up a bit over a bowl of Italian “Wedding Soup” and a salad. Dom came through his final round of Chemotherapy two weeks ago in very good shape. Since his surgery Dom is still struggling to adjust nutritionally to a life without a stomach – but it is good to see that he has been able to eat more and more as the weeks pass. 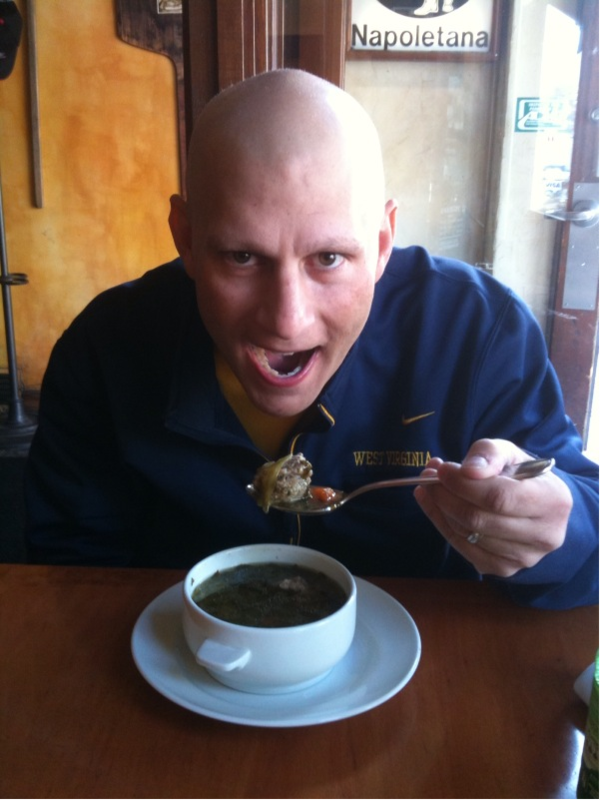 In fact Dom was able to dodge a brief hospital stay to hydrate and get the nutrition he needs after this final round of chemotherapy which was necessary through most of his treatment course. Dom is once again working on a new hairstyle – bald for the 6th time now since last fall. The good news is that with a name like D’Eramo – he has the “good hair” as us Italians refer to it and by the time the Pittsburgh Marathon arrives on May 2nd – Dom should no longer be sporting the “dome”. All indications are that Dom and his family will be able to make it down to the race. It is going to be a great site to see them at the finish line when I arrive back at the Pittsburgh convention center one year to the day from the 2009 Pittsburgh Marathon where I posted my Boston Qualifying time and our lives were very different. There was no talk of cancer, no hospital stays or surgery, no late nights wondering and worrying about the future and of course no Run for Dom. It is amazing to me all that has happened in seemingly a blink of an eye – how far we’ve traveled and how far we still have to go. As far as Tuesday mornings go – this was a pretty good one – hills were gobbled up, legs grew stronger and we moved one day closer to Hopkinton. Find something to smile about today everyone! Pretty good day to be alive – Go Dom!